With Scotland’s largest new town on the outskirts of Aberdeen taking shape, the community is thriving. From professional couples and young families to the retired, the appeal of Chapelton is plain to see. But, having been introduced back in the 1940s, what do new towns look and feel like in 2017, and why is Chapelton proving such an attractive option? Chapelton is a prime example of ‘New Urbanism’, an urban design movement taking hold across the UK which promotes environmentally friendly habits by creating walkable neighbourhoods containing a wide range of housing and job types. Through an extensive range of new homes and schools, through to a lively town centre, Chapelton offers a variety of properties suitable for all ages, incomes and needs, underpinned by a strong sense of community. Moving away from most current housing provision, Chapelton will be a self-sufficient town where residents can live, work and play. Chapelton will function as a stand-alone community, providing a more sustainable alternative to large-scale suburban expansion. The scale of the town allows for a large number of amenities, including schools, parks, health facilities and community buildings, encouraging social interaction and less reliance on cars. Very much at the heart of the wide range of housing on offer is award-winning Perth housebuilder Stephen. 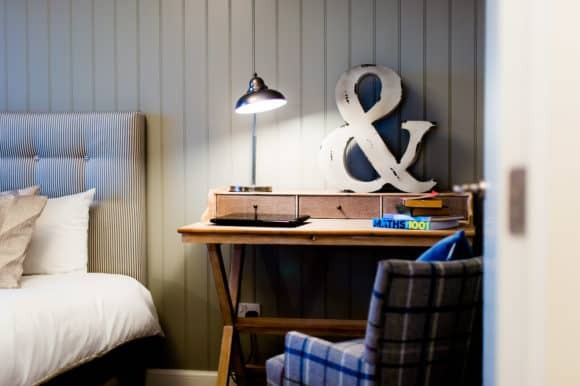 Bringing over 80 years of experience to the table, the family firm is the name behind some of the most stunning homes within the site, which lies just ten miles south of Aberdeen. A range of two to six bedroom homes are currently being constructed, with many already occupied, and 20 new two and three bedroom semi and detached cottages set in attractive courtyards are now complimenting the mix, and proving extremely popular. Showcasing the quality and design principles of Stephen’s properties is the award-winning, four bedroom, detached ‘Melfort’ showhome which can be viewed between11am and 5pm, Thursday to Monday. Tom Buchanan, Marketing Manager at Stephen believes that Chapleton’s appeal lies in its relevance to modern living – “Since our involvement in Chapelton began, we had a clear vision. 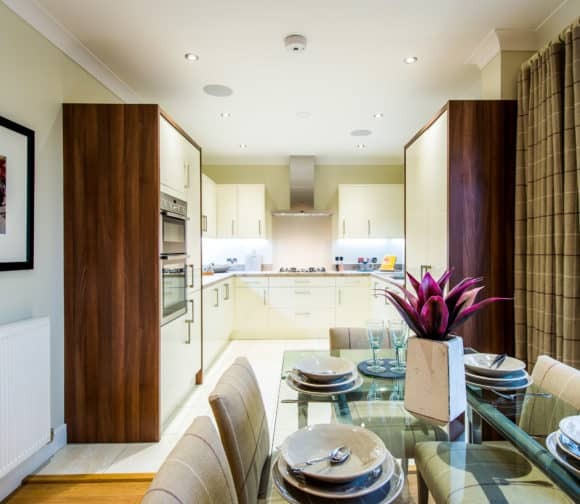 We were looking to create a wide variety of homes designed to cater for a whole range of lifestyle choices, homes which could really work for their owners and their families, and which they could be proud of. “We have properties suited to professional, commuting couples and young families in need of local schooling, as well as cottages appealing to the retired and downsizing market, not forgetting our substantial, six bedroom villas for larger families. Putting Chapeton aside, Stephen are also developing homes with similar design principals at Tornagrain, located between Nairn and Inverness. Tornagrain will accommodate 5,000 homes as well as parks, schools, shops and offices, benefitting hugely from the planned dualling of the A96. With works now underway, Stephen are building a selection of one and two bedroom apartments and two, three and four bedroom terrace, semi and detached homes, with the first phase due for completion in Summer 2017. For further information about any Stephen developments, please contact our Sales office on telephone (01738) 620721, email sales@stephen.co.uk or visit www.stephen.co.uk. Further information re Chapelton can be found at www.chapeltonofelsick.com.